Sign-up and receive Property Email Alerts of Residential Estates in Zululami Luxury Coastal Estate, Sheffield Beach. Directly translated to mean 'my heaven', this residential estate development will certainly live up to its name. The site spans over one hundred hectares of pristine coastline and picturesque North Coast vistas. The Luxury Coastal Estate is showcased through the estate's rich coastal vegetation, pristine and secure location and the breath-taking views of the Indian Ocean. Set in Sheffield Beach on the Dolphin Coast, residents will become accustomed to a temperate climate, with the sights and sounds of waves crashing in the distance. These magnificent homes will be perched on a hillside with truly sensational beach-side views. Inspired by the seamless integration of the sun, sea and forest, nature has been the visionary behind Zululami and its architectural designs. Sizable homes range from 1200sqm to 1500sqm in size, whilst families thrive in the pet-friendly environment. Not only does it boast an array of facilities, but it integrates the natural surroundings of the area like no other. The Floating Clubhouse within the wetland adds to the uniqueness of this as it is elevated and enjoys bird hides and boardwalks. Tennis courts and the kid's park will offer a healthy and secure environment for children to run free and play; not to mention that added lifestyle benefits of a lap swimming pool and amphitheatre for socializing. 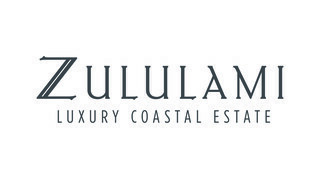 Indeed, Zululami Luxury Coastal Estate is setting a new precedent in coastal living and offering you a purchase opportunity as rare as the location itself.